I love a good bargain! Especially when it comes to clothes for my son. I want him dressed in the latest fashion, but do not want to spend an arm and leg for clothes that he will outgrow a few months after purchasing. 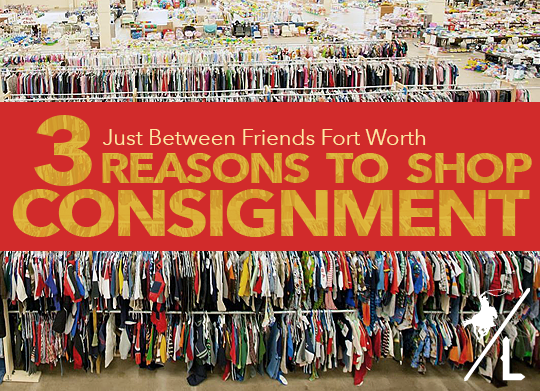 That’s why I wait and stock up on clothes at Just Between Friends Fort Worth, which is Texas’ largest children’s consignment sale. The next sale is Thursday, September 3 – Saturday, September 15 at Will Rogers Memorial Center in the Amon G. Carter Exhibit Hall. First time parents, grandparents, volunteers and sellers can sign-up for a pre-sale pass! You can find all the information here. You can also download this coupon for free admission. One-stop shopping. Shop for clothes, toys, books and kids furniture all at the same place. Great prices. The clothes are reasonably priced and they have all been inspected to ensure that no holes or stains are on the items. This makes searching through the racks worth the time knowing that the clothes and other products are in great shape. Huge selections. With so many participating in consigning clothes, there is a huge selection to choose from. Come prepared with a list of what you are looking for and you are bound to find it! Enter below to win a $15 Gift Card to the JBF sale in September. Winner will be announced on Sunday, August 16.